First US edition, Fine minus, unread book with light push bottom of spine, in a Fine dust jacket. This copy has been signed by Perez-Reverte on the title page. A globe-trotting adventure that ranges from Mexico and drug smuggling, to Morocco and Spain where a young woman tries to evade narcos who are pursuing her. 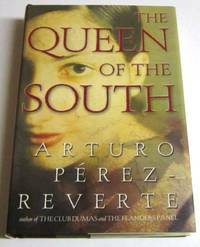 Originally published as La Reina del Sur and translated by Andrew Hurley. 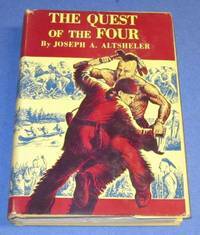 First edition 1st printing, Fine minus unread book with very slight pushing at spine ends, in a Fine jacket. 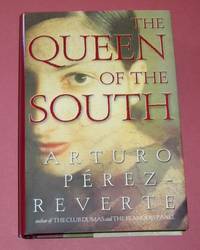 This very nice copy has a tipped-in front end page signed by Arturo Perez-Reverte. Book is an 18th printing with copyright date of 1939, Very Good to Near Fine book with soft spine ends and some dusting top page edges; in a Very Good price –clipped jacket with some soiling, edge and corner wear and small chips and closed tears largest at top of front flap, vertical crease back flap. First edition 1st printing, Near Fine book withlight edge wear, slight rub front panel and tiny bump bottom, front corner, in a Very Good jacket that has light soiling and rubbing, edge and corner wear, pushed with sligt tears and chips top of spine, sun fade on spine. 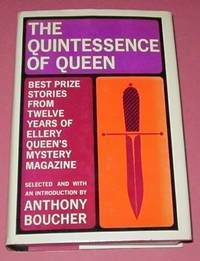 The best prize stories (31 authors) from Ellery Queen’s Mystery Magazine, selected and introduced by Anthony Boucher. Authors include Faulkner and Borges, as well as more familiar mystery writers. First limited edition, Near Fine, unread book that has bumps at spine ends, in Near Fine jacket with similar bumps, including laid-in chapbook by Lupoff "The Laddie in the Lake." 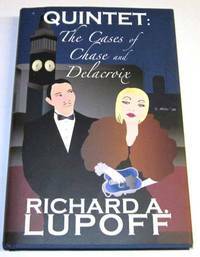 Bumping occurred during shipping from the publisher.This title presents 6 short stories featuring Chase and Delacroix. This is copy number 184 of 200 such copies and is signed by Lupoff on the limitation page.